On Monday, Mr. Perrone and I will meet with each individual grade level to help students get re-focused as we begin the new semester. We will clearly state our expectations and reiterate some of our academic and disciplinary policies during these gatherings. Report cards from the fall semester will be available through Edline by Wednesday, January 10th, at 11:00 am. Friendly reminder that we do not send hard copies of report cards home. We will have our Spring Semester Mini-Schedule Night for parents on Thursday, January 11th. The bell will ring at 6:30 pm, sending you to your student’s “A” period class. Friendly reminder that this is NOT a parent-teacher conference. This is simply an opportunity to follow your child’s new class schedule and meet his or her teachers. Teachers will discuss course policies and their goals for their classes in ten-minute sessions. We strongly encourage all parents to attend. Students will bring schedules home on Wednesday night for your benefit. Reminder that students do not have school on Monday, January 15th, due to the Martin Luther King, Jr., holiday. Our Honor Roll Receptions take place on Thursday and Friday, the 18th and 19th of January. We look forward to honoring all those students who achieved a 3.5 GPA or better in the second quarter. Our Freshman Retreat takes place on Friday, January 26th. Permission slips will be posted to Edline, and the retreat will be held across the street at the JCC. Freshmen will be permitted to “dress down” in our maroon and white dress-down style on this day. 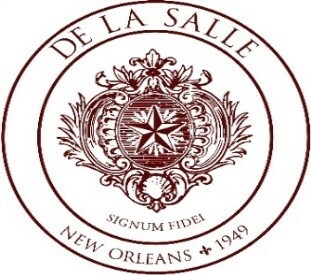 Students will begin and end the day at the regular times at De La Salle. Join us for an unforgettable evening of delectable cuisine, libations, fabulous auction items, door prizes, and music by Louisiana Spice. Proceeds from our premier fundraising event will support De La Salle’s continued march in excellence. The gala is open to the public. Please visit our website for additional information. Please be reminded that personal meetings with faculty and administration need to be arranged by appointment. No administrator or faculty member is mandated to take a meeting from a parent or guardian that has not been pre-arranged. Thank you for your cooperation with this policy. Boys’ and girls’ soccer teams, the wrestling team, and the boys’ and girls’ basketball teams continue deeper into their respective seasons. Baseball, softball, tennis, and track and field are also beginning their pre-season work. Please come out and support the Cavs as they take to the field and the floor. As always, we thank you for entrusting your children to us, and we look forward to a successful spring semester. Take care, and may God bless you and yours.